Puducherry (earlier known as Pondicherry) is not your usual run-of-the-mill tourist destination. It has beauty, grace and history that connect it to the French, Dutch and the Portuguese. It is a town sprinkled with spirituality and has a predominant French flavour to it. 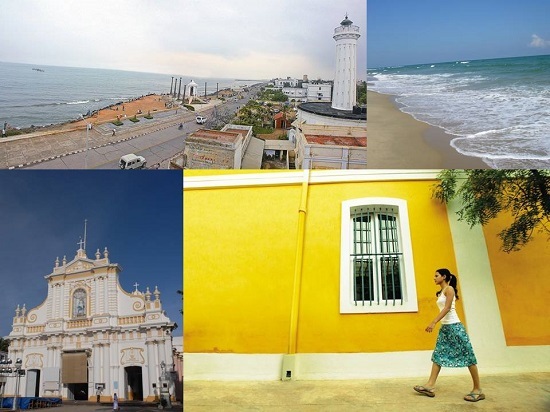 Often been called the French Riviera of the East, Puducherry is a Union Territory, which makes for an ideal laidback holiday to soak in the French architecture, food and culture. It is a destination in a time warp that demands an unhurried pace to explore and experience its many facets. Puducherry’s tryst with the French goes back to some 340 years when in 1670 they set foot with a dream of an empire in India. For the next two centuries, the fate of Puducherry swung among the British, French and Dutch who fought fiercely to capture Puducherry in order to establish their supremacy in the Indian sub-continent. In the end, it was the French, who wrestled Puducherry back in their fold from the British. Puducherry became part of India only after the French left it in 1954. The first thing that strikes you when you visit Puducherry is the neat and well laid out design of the streets. The town design is based on the French grid pattern with neat layout of sectors and perpendicular streets. The town is split into two distinct parts – the French Quarter and the Tamil Quarter. A walk through these two sections will introduce you to the different architectural style that co-exists here. If you are a history buff, INTACH (Indian National Trust for Art and Cultural Heritage) organizes heritage walks that take you through the history and architecture of the French Quarter and other important historical landmarks. Besides the heritage and architecture of the town, a must visit place in Puducherry is the famous Aurobindo Ashram, which was set up in 1926 by Sri Aurobindo Ghose, one of India’s greatest philosophers. Today, the ashram is a centre of learning and Yoga visited by a large number of spiritual seekers from across the globe. Auroville, located some 8 km from Puducherry is a unique experiment in universal brotherhood. 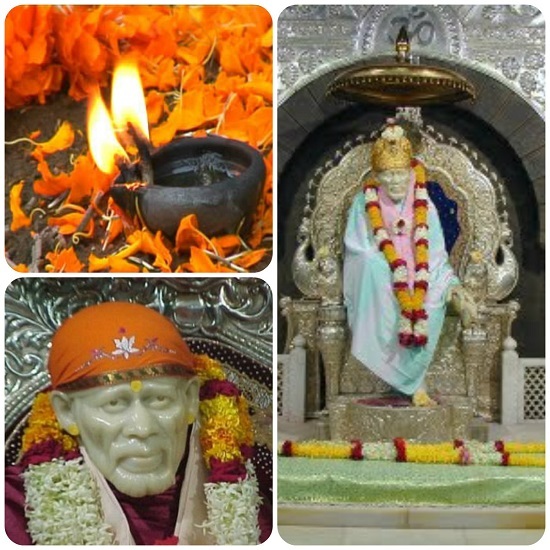 It is a universal township where people of different nationalities live in harmony. Auroville, which means ‘City of Dawn’, is an experiment to realize human unity in diversity. It is a must visit place in Puducherry. Visit www.auroville.org for more information. Tourists may also explore the beaches in Puducherry, which include Paradise, Serenity and Auroville Beach. The 1.5 km long Promenade, considered the pride of Puducherry is a lovely place to take a stroll or to relax in one of the many cafes for a cup of coffee and some delectable snacks. 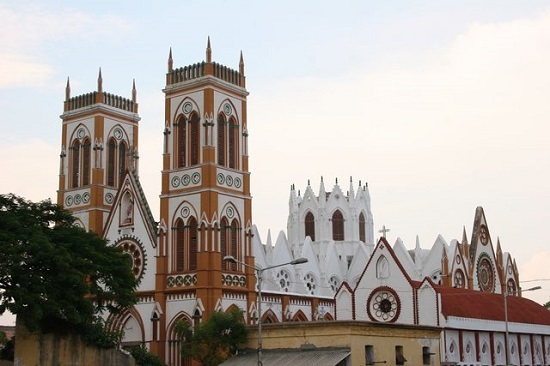 The War Memorial, statue of Mahatma Gandhi, Children’s Park & Dupleix Statue, Romain Rolland Library, the Church of Our Lady of the Angels, the Town Hall and the Statue of Joan of Arc are some of the major landmarks in Puducherry that one can visit. Chennai, 140 km away is the nearest airport and railhead to Puducherry. Regular buses and taxis are available from Chennai to Puducherry. Journey from Chennai to Puducherry takes about 3 hours. The East Coast Road via Mahabalipuram is the most scenic route to reach Puducherry. Trip Advisor tricks its Insighters!